About Us | TMP Sales | Inc.
‘Ted. M. Perry’ or ‘Ted Meets Phil’? Ted and Phil met in 1997 through a mutual business acquaintance. They formed a manufacturers representative partnership with a focus on electro-mechanical components. 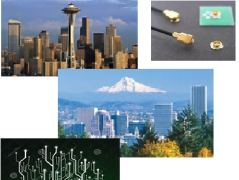 Twenty years later, they continue to quietly influenced technology in the Pacific Northwest playing a key role in the growth of several of their principal manufacturers through relationships with Microsoft, Intel, Fluke, Tektronix and other northwest electronic OEM names. Between Ted and Phil, they cover a sales territory that stretches from the southern Oregon border to British Columbia, including Idaho.